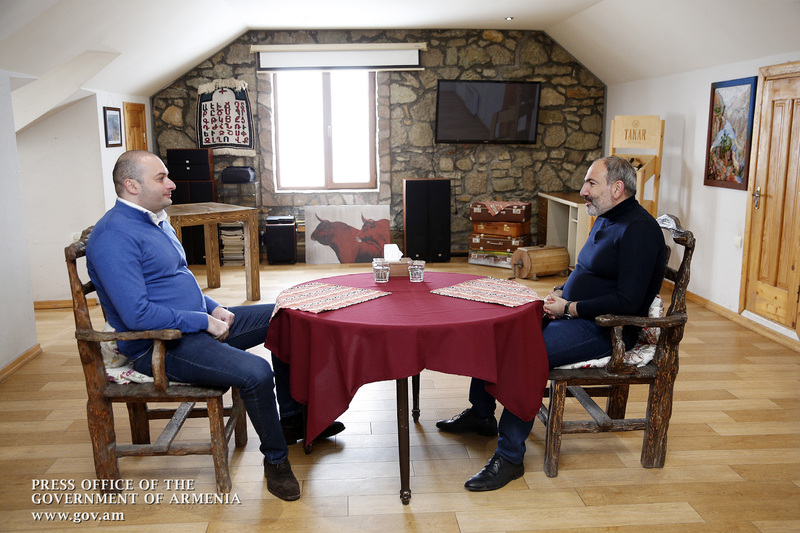 On March 24, Prime Minister Nikol Pashinyan and Georgian Prime Minister Mamuka Bakhtadze had an informal meeting in Yenokavan community of Tavush Marz. Reflecting on various issues of Armenian-Georgian relations, the parties touched upon other topics of mutual interest. Stressing the importance of Armenian-Georgian relations, Nikol Pashinyan and Mamuka Bakhtadze expressed confidence that the furtherance of cooperation will promote multifaceted exchanges between the two neighboring and friendly states in a number of areas. In this context, the parties emphasized the importance of frequent informal meetings. Note that the previous informal meeting between Nikol Pashinyan and Mamuka Bakhtadze took place on January 15, 2019 in Bolnisi, Georgia.